Casual Elegance in this well thought out New Construction home, just steps to lake, beach and Northwestern University. Rare front drive for easy parking off Sheridan Rd. with attached Two car garage. Clubby Living Room/Library off foyer with double doors. Grand Kitchen with all the bells and whistles.Nice sized Breakfast Room. Family Room with coffered ceiling and Feature Fireplace overlooks private back yard retreat. Five Bedrooms on Second Floor - Master Suite with custom ceiling detail, huge walk in closet and awesome Bath with sep shower and free standing tub. Four additional bedrooms, two with ensuite baths and two sharing a bath. Second Fl laundry and great storage. Lower Level with Rec Room for the whole family, large full wet bar. Sixth Bedroom and Full bath. 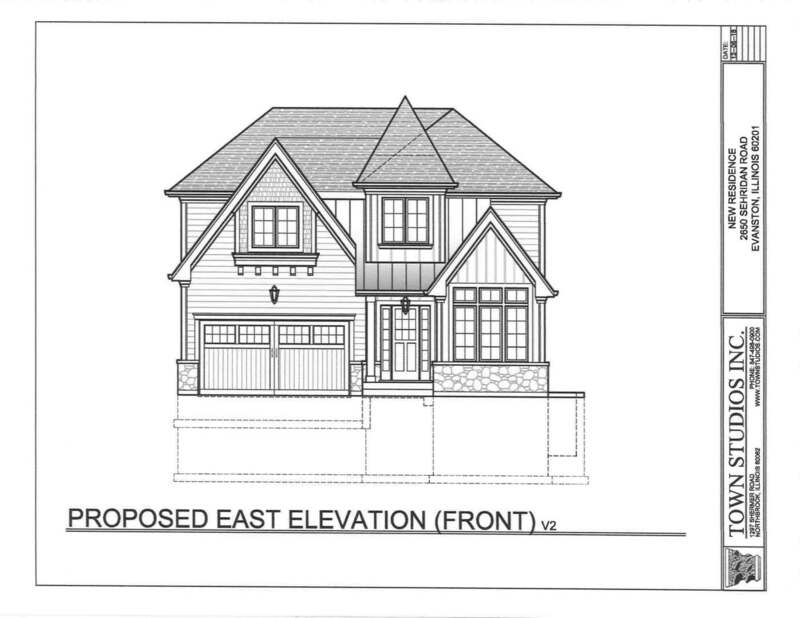 Ground Breaking soon, still time to sit down and make this a truly custom home.